A year later, the scenario is different, but the passion is still the same. 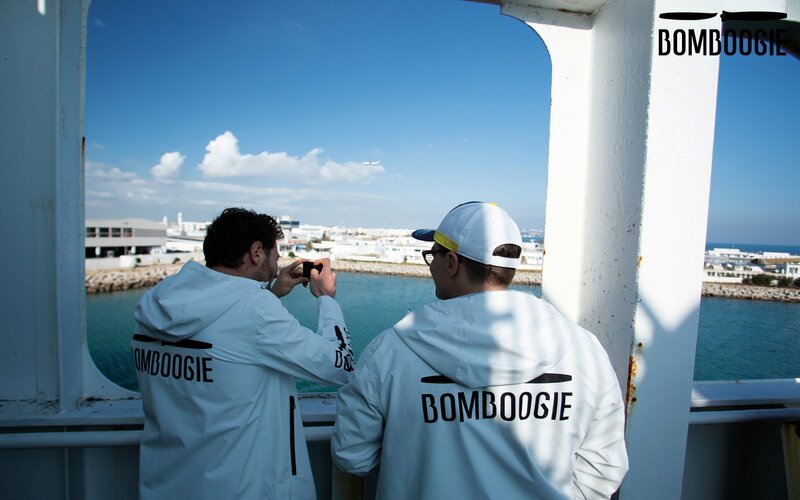 Bomboogie Riders Clan is back. 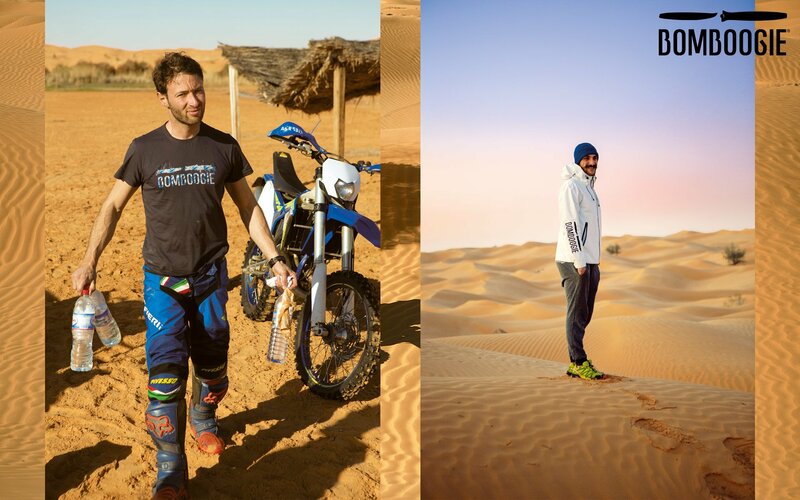 Alessandro and Emilio keep riding their motorbikes. Last year, they leaved Italy in December and reached North Cape. 14 days, 8.500 Km, 9 Nations. Down to -30°C. Then they took part to Erzberg. 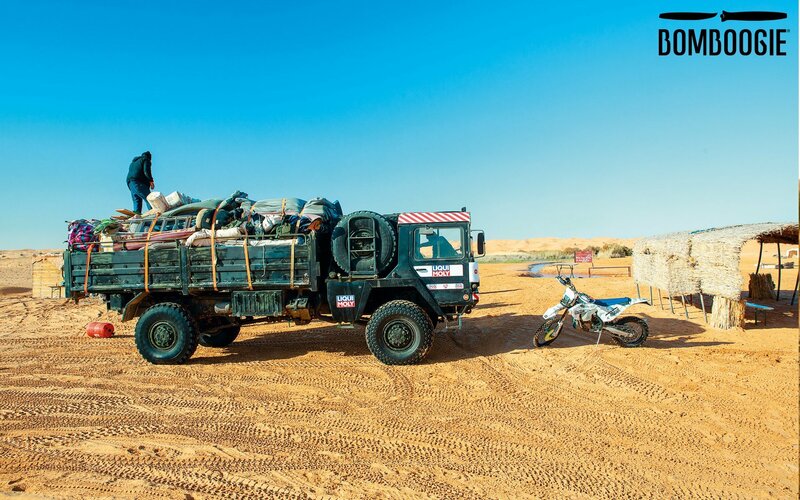 This time, they went to the Tunisian Sahara desert for a new trip on their motos. Have you ever heard about Douz? 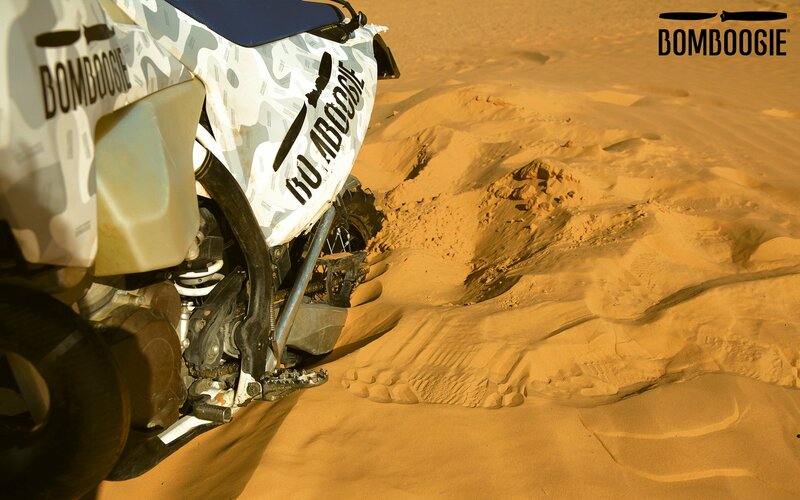 For this special occasion Bomboogie gave an exceptional fairing design to their motos: camouflage look in desert style. 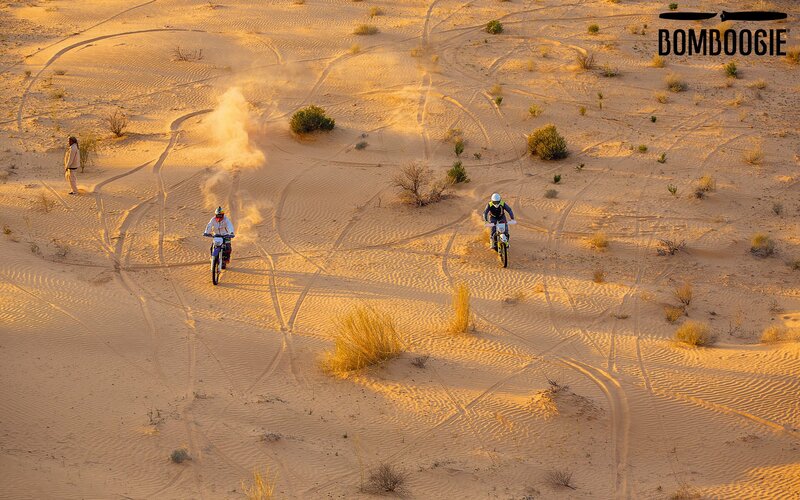 Imagine riding desert dunes. 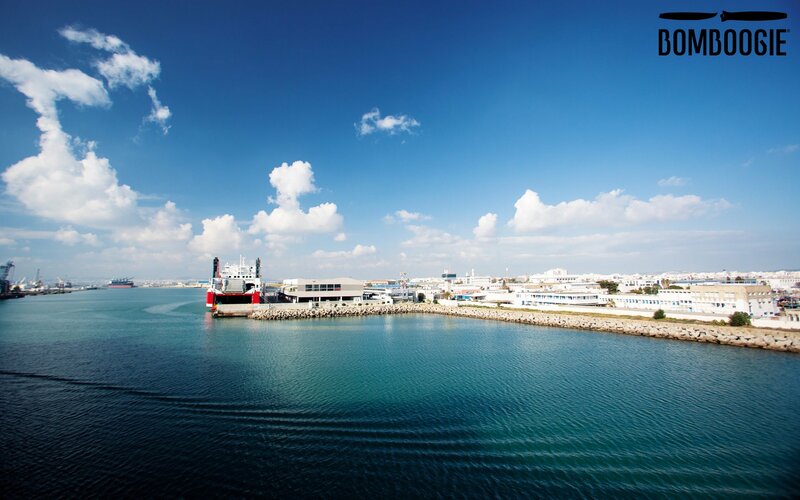 Untamable rides to the horizon until the fuel tank is bone-dry. 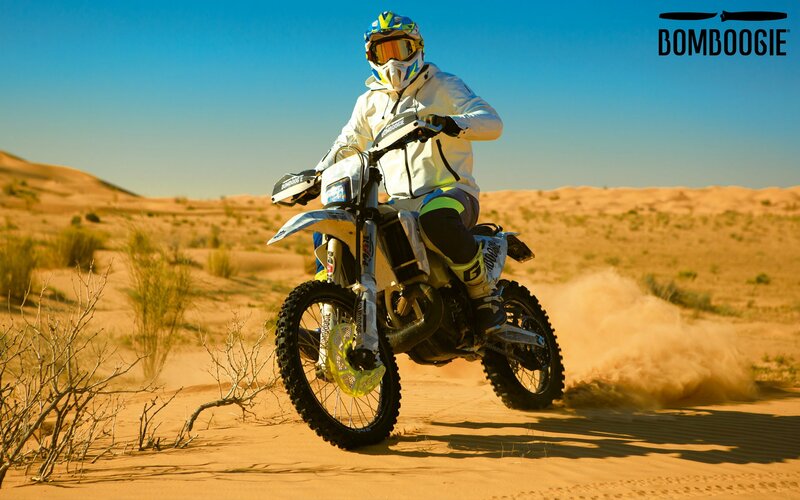 No thoughts, pure adrenaline. 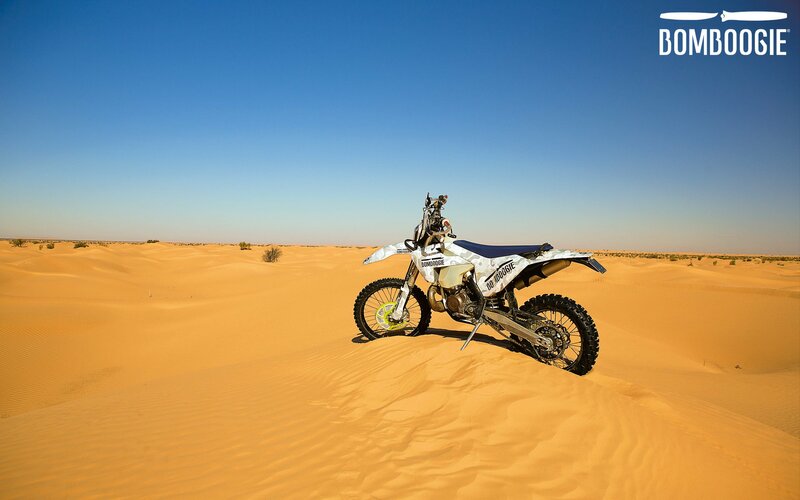 Up and down on sand dunes with gas and freedom as your only luggage. 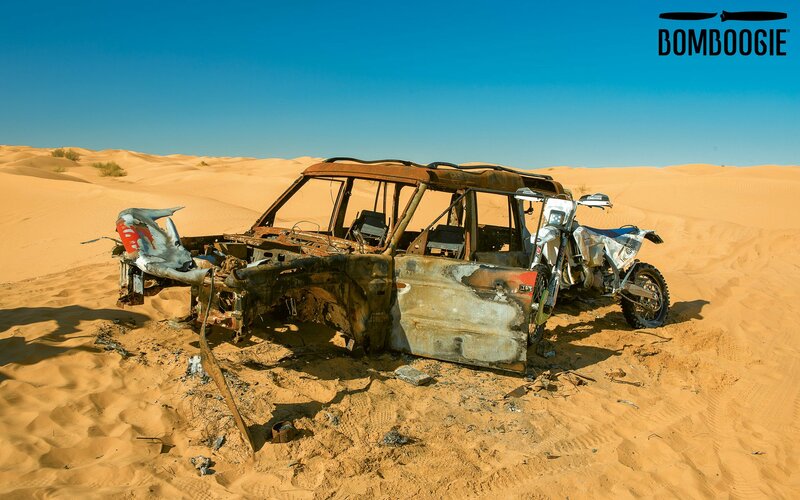 Driving in the sand is like driving in the snow. 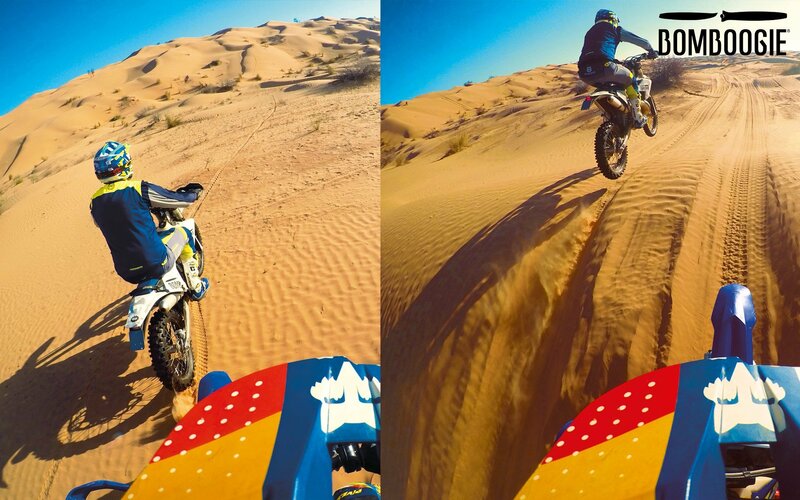 Moto slips in all directions, pure fun. Only for enduro lovers, only for those who have passion running through their veins. Alessandro and Emilio are real enthusiastic people. Alessandro works in oysters industry, Emilio is an engeneer. But when they have some free time, they ride their motos. Ordinary people that do extraordinary things to follow their passions. That’s Bomboogie Riders Clan philosophy and it perfectly fits Alessandro and Emilio. 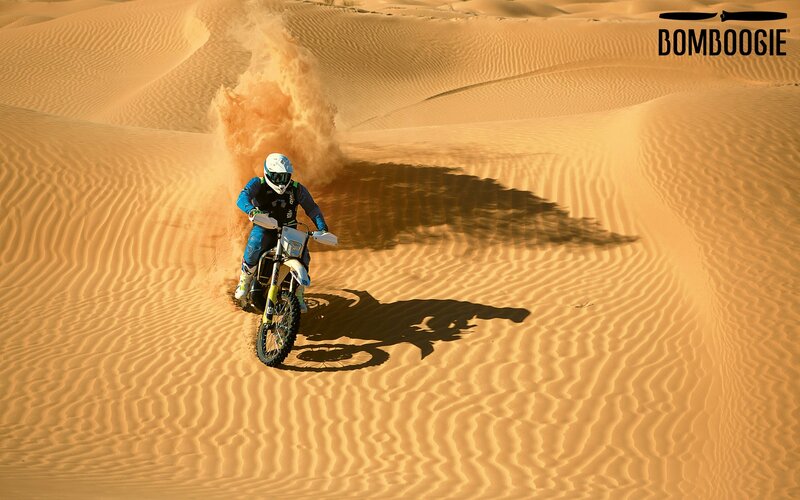 For enduro lovers, the never-ending succession of sand dunes is like an open eyes dream. Motos keep going ahead and the gas is easy to refill. 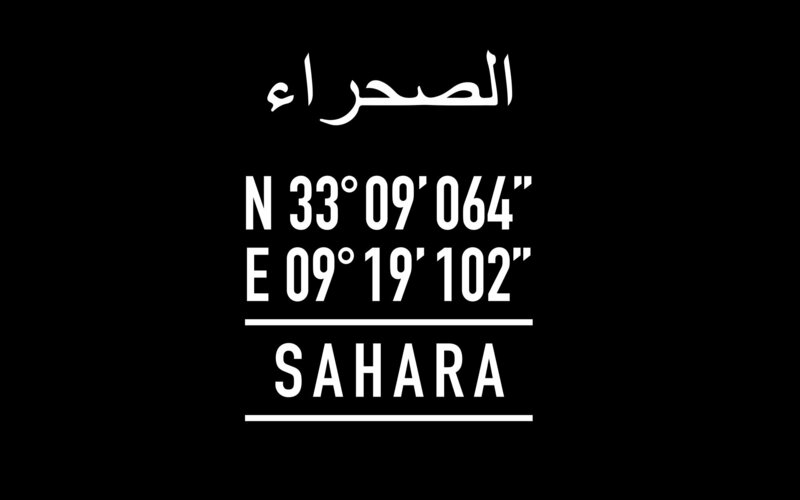 You can keep going till you want to, no boudaries because the horizon in the desert is so far that it seems a mirage. 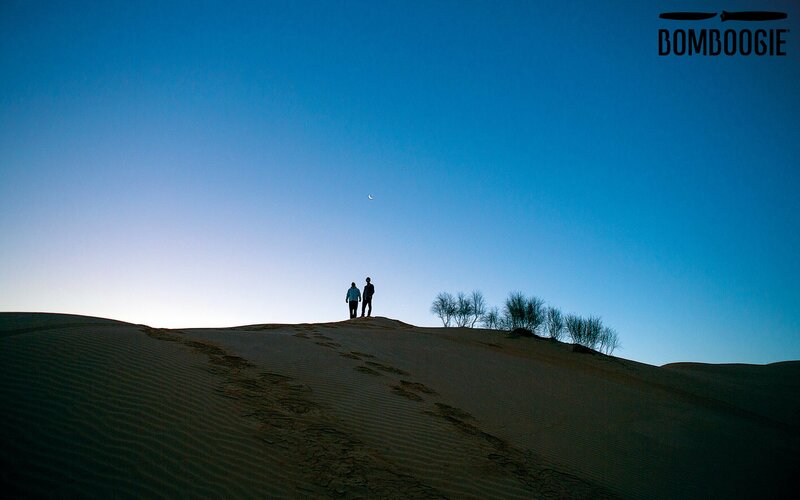 Up an down across the dunes, tense body and free mind. When the night comes, going to sleep is refreshing because you are deadly tired. 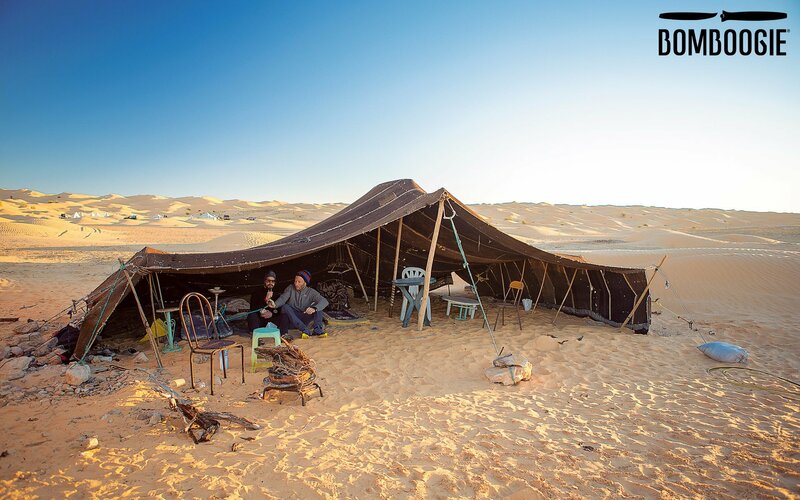 Moreover, sleeping in the desert is amazing. 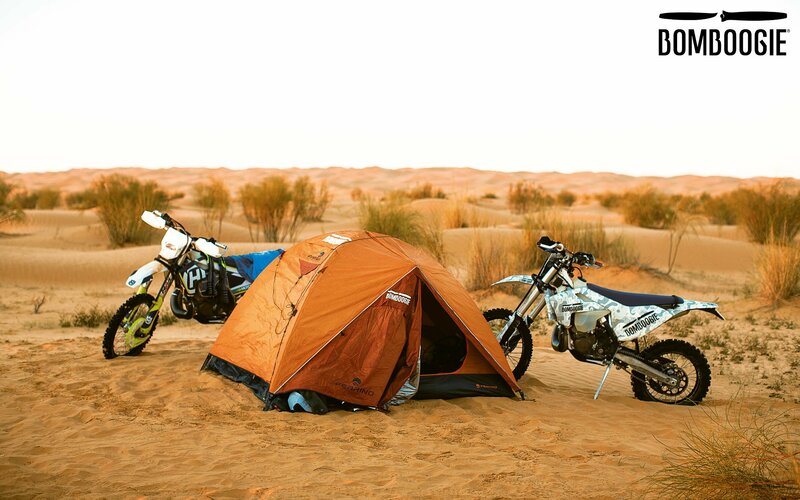 You literally bring the desert with you. Days after you are back in town, you still find grains of sand in unexpected places. Getting showers is not enough. 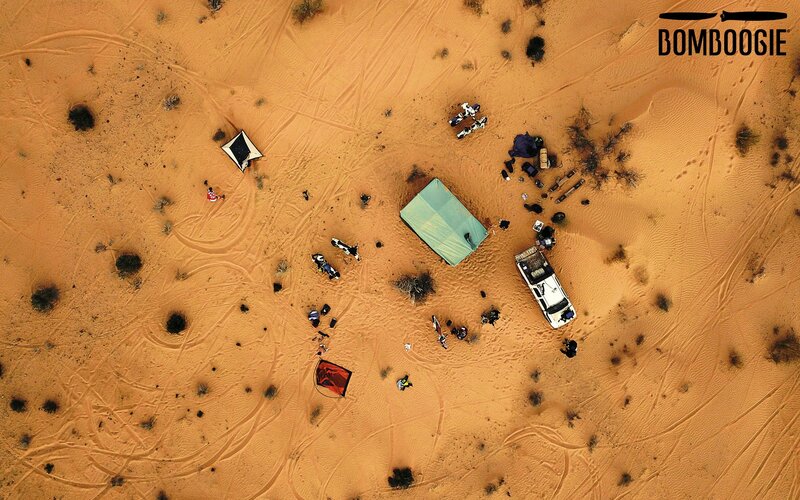 Sand won’t leave you just like the sense of disorientation only given by a good adventure. Once you are back, you keep feeling the desert, you keep dreaming of it, of its silence.